Body Beautiful Laser Medi-Spa – Page 2 – Body Beautiful has a mission to deliver safe and trusted treatments, ensuring we are meeting your individual cosmetic needs. Are you tired of looking at those birthmarks that have been bothering you? Birthmark Reduction or even Removal is an option. Now you can safely remove birthmarks whether they are brown spots or vascular pigmentation, all non invasive, with no downtime and minimal pain! Benefits: Appearance improvement can boost self-confidence/self-esteem. Laser birthmark removal procedure will not usually require anesthetics and virtually painless. A tingling sensation compared to a rubber band snap on your skin. No hospital stay needed and recovery period is relatively short, tenderness will fade within the week. Many Patients who receive Birthmark Removal also benefit from Skin Rejuvenation, Microdermabrasion, Photofacial, Stretch Mark and Scar Removal, Skin Tightening and Fat Transfers or other Injectables. Remember, in order to further protect your investment, we recommend our clinically proven SkinMedica skin care line to enhance and lengthen your results. Call us today for your Birthmark Revoval Treatment! Millions of people are making preparations for Valentine’s Day that include romantic dinners, champagne, candy, chocolate strawberries, cards, and flowers. In making your own arrangements for the big day, you may also be planning to shop for clothes – or lingerie – and get your hair and nails done. If so, don’t forget to add one more important thing to your list – stopping in for our Teeth-Whitening treatment! 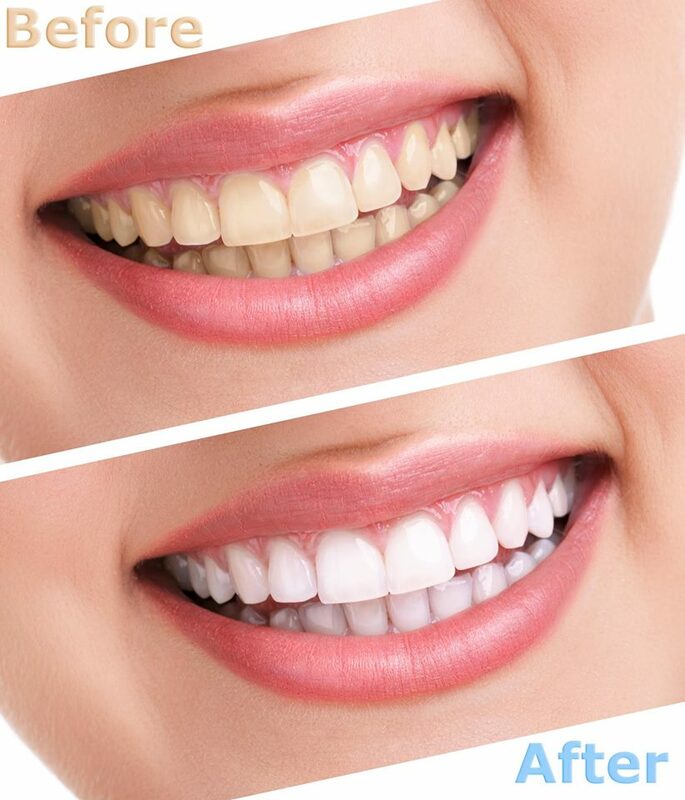 Our safe, effective procedure can lighten your teeth 3-6 shades in just two 15-minute sessions! You already have a dazzling personality; and this treatment will ensure that you have a smile to match. It’s the perfect finishing touch; and it’s highly affordable. So, go ahead – indulge! As teenagers, not many people escape having acne, or the angst it causes, even in mild cases. For most, though, within a couple of years, the condition clears up, and that painful chapter is closed and all but forgotten. On the other hand, for some, acne stays around and makes them miserable for the rest of their lives. What’s more, in the latter instances, it’s even worse, as chronic acne often leaves pits and scars that can be permanent. In fact, until fairly recently, it was nearly impossible to eradicate the skin damage that it left behind. Now, however, pitted against our advanced treatments, including laser, pulsed light therapy, chemical gel peels, facials, and collagen fillers, acne and its ravages can fade fast into the past. 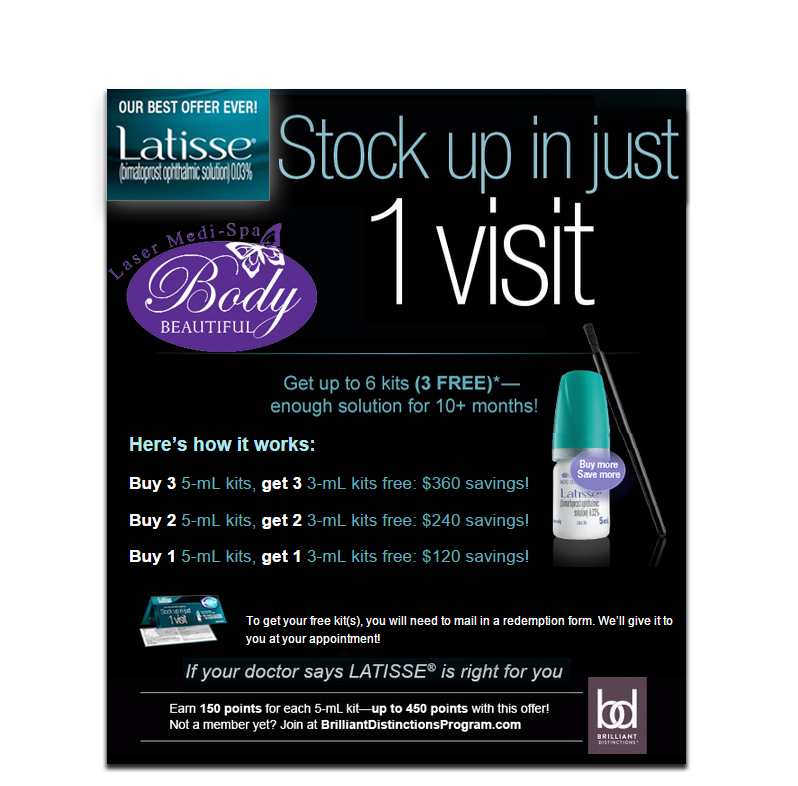 Earn 150 Brilliant Distinction points for each 5 mL bottle purchased. Visit any Body Beautiful location or call 724-987-3221 for more information. Now is the time of year when those “holiday pounds” are causing a lot of fits, mostly over clothes that no longer fit! If you gained a bit in recent months, and your clothes are now a little too snug, we’ve got the perfect way to jump-start your weight loss. Our Infrared Body Wraps can burn 900-1400 calories in one session! Besides quickly taking off inches, they’ll enhance your contours, and reduce the appearance of cellulite and stretch marks. So, a visit to our spa will certainly be quite fitting! Besides losing weight, one of the top New Year’s resolutions for millions of people is to quit smoking. Unfortunately, though, like shedding extra pounds, it’s a very tough goal to achieve; and that’s why the same millions of people end up making that same resolution, year after year. If you’re in that number, we can help make 2015 the year that you finally accomplish your objective, with our Stop Smoking Laser! 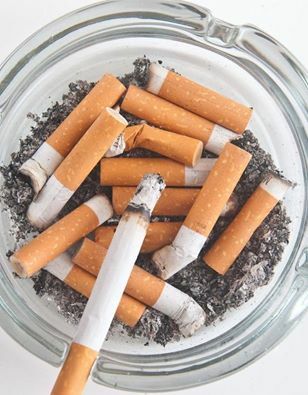 Focused intensely on key acupuncture points, it will help to completely eliminate your cravings for cigarettes. So, this year, even if you make the same resolution, it won’t be a lame resolution!